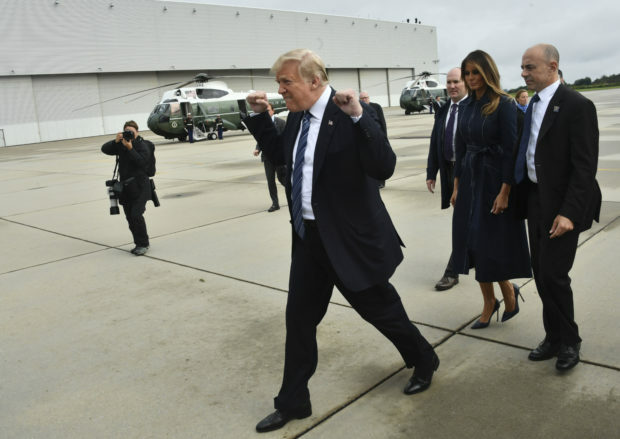 First lady Melania Trump chose a patriotic and classy outfit to attend ceremonies marking the 17th anniversary of the September 11 terror attacks. 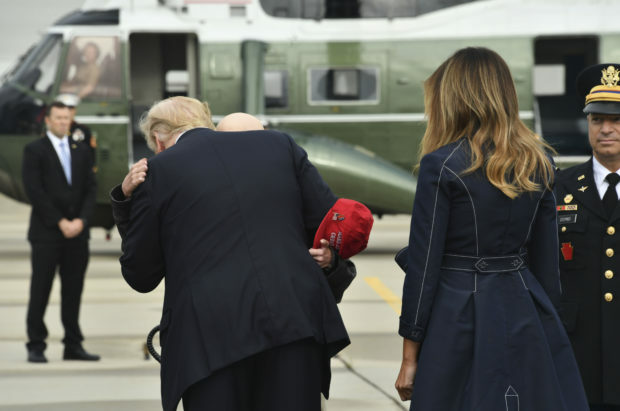 The first lady and President Donald Trump were photographed while boarding Air Force One to travel to Shanksville, Pennsylvania for a memorial ceremony. One of the hijacked planes on 9/11 crashed in Shanksville when passengers fought back against the hijackers. 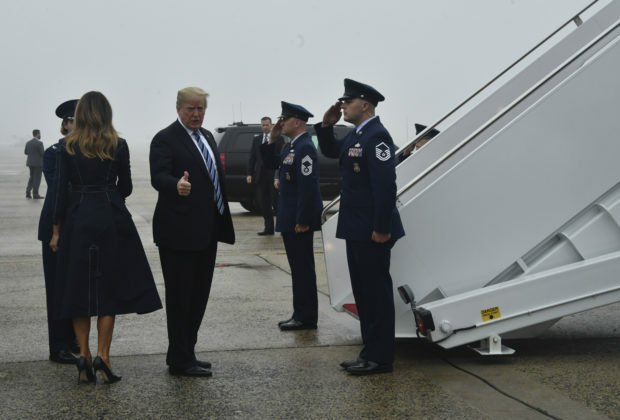 Melania chose a navy blue trench coat with white trim that hit just below her knees for the event. She also donned matching stiletto heels. The trench coat featured a tie-waist belt and buttons all the way to the hem. 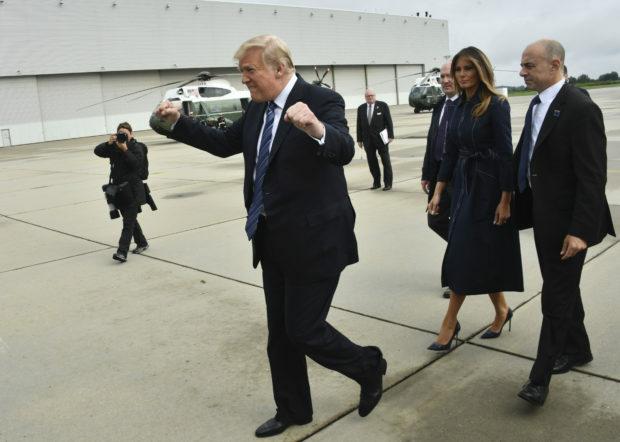 The first couple was photographed again after landing in Johnstown, Pennsylvania. 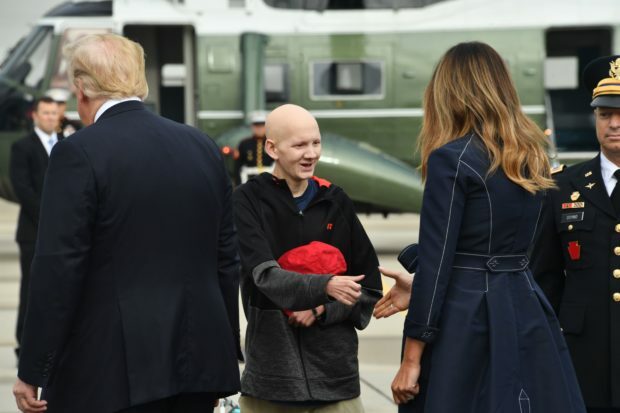 President Trump and Melania greeted supporters on the tarmac, with the president stopping to embrace one young man holding a “Make America Great Again” hat.